Did you know that more than 50% of global population makes billion of searches online every day? One can, now, easily imagine the proportion of their visibility in Search Engine Result Pages (SERP). Getting visibility on this sea of web is tough but easy. The web analytics are droned by Search Engine Marketing (SEM). It is a tool for online marketing to promote website, blog, article and everything on the net. SEM is paid form of marketing that helps you to be present in the entire major online search. Google leads the market search engine with more than 80% share against bing and yahoo. SEM generally works on keyword search and back links. Keywords are popular and a regularly used word of the related industry, for example, ‘search engine optimization’ is a key word for SEM. Each industry has its own jargons and industry specific words those are known to any lay man irrespective from the industry or not. Key words are the play cards for companies. Key words are the general perception of any lay man and industry experts derive these key words and feed them in systematic algorithm to generate and convert traffic to their website. It is web designer’s forte and expertise to use industry specific key words and bring the website on top when any of the key word is searched. One such platform is Google Ad Words, which assists companies to market their products and services. SEM is a tool to develop a website which helps it to rank higher than other pages available on the web. As the web design company bids on the keywords through pay per click (PPC) in increases the rank and search metrics for the company or its products or its services. However, key word bidding is an ongoing process and web design agency needs to be alert and updated with all the necessary and vital information to keep the pace with fast changing market metrics. The Web Design Agency or the agency conducting the SEM is aware of the cost that is to be utilized for any digital marketing and key word search. The bidding is simple but not easy as one has to know the kind of spend needed, timing, types and much more. The expense behind PPC can be fixed but has to be divided and distributed logically to make maximum out of the digital presence. The cost for bidding may range from $1 to $50 depending on the demand and availability of the particular industry. Web Design company has to ensure that the return on investment by its client is the traffic that will be generate to his website after conducting SEM. Media Plus is one company which has all the solutions and expertise when it comes to Search Engine Marketing and Web Designing in Singapore. One company with core acumen in SEM and Web Development is sem agency. With professional services and key expertise in to the subject they have it to deliver the best result at effective cost and suitable services. When it comes to digital marketing SEO (search engine optimization) is all the rage. This is because SEO has the ability to deliver free traffic to your website, fueling your business with potential customers and hot leads with no ongoing fees. However, SEO does take some time to get going, and there may be startup costs if you decide to outsource it. 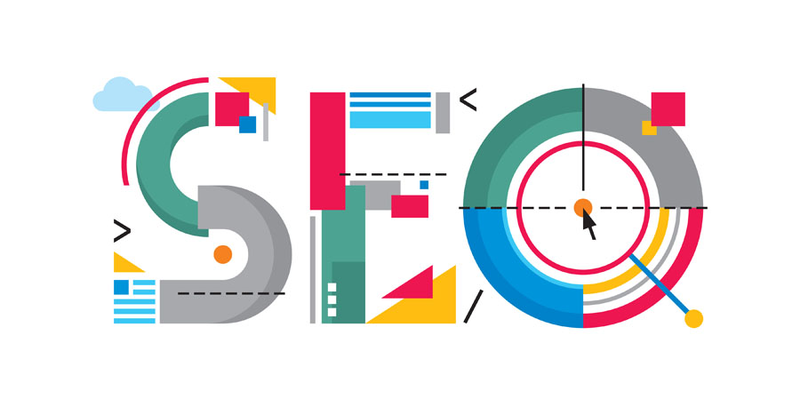 Regardless, SEO can be the factor that takes your business to the next level, and here’s why. SEO, if you’re doing it right, will bring people to your website that are ready to pull out their wallet and make a purchase and/or hire you. Hot leads like this are invaluable, allowing you to streamline your marketing process, and spend less money turning a cold lead into a warm lead, and finally into a customer. Why market to a cold audience when you can reach out to one that’s primed and ready to buy from the start? That’s the power of SEO. As previously mentioned, the biggest advantage of SEO vs paid advertising is the fact that it doesn’t cost much once it gets going. It may even be 100% free depending on how things work out, and how much maintenance you need on your site. What this means is that SEO has the ability to produce much higher profit margins than paid advertising, allowing you to reinvest more capital back into your business and grow it even more. On-page SEO is simplicity itself. Simply by following best practices, you can notice a difference in your ranking over the months and years to come. Off-page SEO is a bit more complicated but compared to all the metrics involved with paid advertising, it is also relatively simple. It’s because of this simplicity that SEO has sort of become a do-it-yourself kind of marketing strategy. However, if you have the capital, outsourcing your SEO is also a great option. While SEO isn’t all that complicated, it can be tedious if you’re trying to do it yourself. The good news is that you can hire an SEO Company to help you get everything set up. All in all, this will likely cost you much less than paying for ads on a regular basis, so it’s definitely more cost effect in the long run. It can be a good idea to have the company you’re working with occasionally do an SEO “checkup” on your site to make sure that everything is running smoothly. 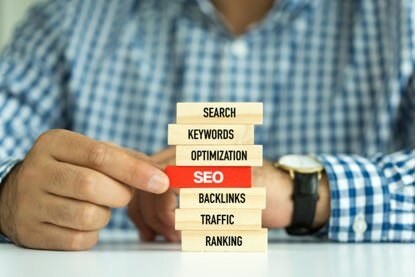 One of the best things about Off-Page SEO is the fact that not only do the backlinks boost your ranking, they also bring in new traffic from new sources. This can help you to expand your marketing reach and create new streams of revenue from sources you may not have normally considered. It can also lead to joint venture opportunities with the sites and companies you’re partnering with for the backlinks, leading to even greater growth for your business. SEO can be an extremely stressful business and many SEO professionals can suffer with the effects of stress and anxiety. The feeling of unease, nervousness and worry can lead to a lack of productivity and a feeling of overwhelm. Anxiety can be detrimental if you have your own business and are trying to run it. Small business owners need to face “imminent events” and “something with an uncertain outcome” almost every minute of the day. The fact is that when anxiety starts to kick in, it can be extremely difficult to focus on productivity, to do good work and to deliver value because the anxiety tends to compound. As the anxiety builds up, you may feel a lot less able to deal with your business and handle the work that needs to be done. You will also notice that your productivity is lower. The result? You start to miss important deadlines, you don’t follow up with clients and networking opportunities are missed so that you do not expand your business as expected. All of these problems can lead to increased fear, stress and worry. The pattern becomes a downward spiral which must be stopped before it eliminates your business altogether. You do have the power to deal with anxiety in a proactive way and to mitigate it by making the right choices. It is important to know that anxiety is normal, particularly when you are running an SEO business. It is important to understand that these feelings will arise and that you can deal with them before they take over. It is important to recognize the feelings and address them by making a conscious decision that they will not take over and dictate the direction of your day. Dealing with anxiety means that you find ways to manage it. It is never completely “eliminated”, there will always be feelings of nervousness, unease and worry, but those feelings can be managed. Acknowledge your feelings. There is no way to move forward if you don’t acknowledge the way that you are feeling. Remove Yourself from Those Feelings and Your Thoughts. You will need to step back from the feelings if you tend to be overrun with anxiety. Retaining control means distancing yourself from thoughts and feelings. Realize that you are not associated with the feelings that you have. This will give you the power to react to your feelings and thoughts as they arise. Schedule Your Day to Minimize Anxiety. When you have your own SEO business, you have some control over the structure of your day. You can arrange your day in such a way that it does not increase stress or anxiety. You need to know what can trigger the feelings of anxiety and stress so that you can avoid situations that can bring them on. Plan your day by ensuring that deadlines are met and do not create too many deadlines so that it is impossible to complete your day. Get Your Head Clear. Journaling is a great way to clear your head (also known as a brain dump). It gets all of the clutter out of your mind and allows you to focus on the tasks ahead of you. If at any time during the day when you are working you start to feel overwhelmed, write a list or just start writing to clear your mind again. Practice gratitude for the things that are right in your life. Don’t focus on what is wrong, what you failed to complete in your business and what you feel is impossible. Look at the things that are right, that you have control over and remind yourself by making a list of those things or a few of them, each day. Give yourself enough time to complete the work you need to do for each client. Prioritize the time needed to work on projects and assignments and block out chunks of time to complete those assignments and projects. Avoid multitasking and close email out so that you can focus on the task at hand. Eat the frog. This means completing those tasks that you dislike the most first. When you complete the tasks you dislike then they are not weighing you down for the rest of the day. When you choose how you will deal with stress and anxiety as an SEO professional, it will quickly get you back on track. Whenever you feel as though the work that you are doing is just too much to handle, you can take a break from the work, get up and exercise or stretch and do some breathing exercises or mediation. Once you have cleared your head, you can tackle the tasks that need to be completed with a clear mind. Knowing that you have a lot of work to do, it can quickly become overwhelming. It is important to put all of these tasks into an order of priority. If you are unable to deal with stress and anxiety at any point, make sure that you get some support. Help is available in plenty of different forms; there isn’t one definite answer or solution. This could mean reading books that have meaning, working on personal development, working with a life coach or sharing your struggles with trusted friends. The most important thing to remember is to give yourself a break. Everyone makes mistakes and you are not going to be perfect every day. Getting through your day with goals accomplished is important, but you won’t get everything done every day. A year from now will it matter if you had a bad morning or a hard week? A trend will develop when you look back on your previous year – either you changed, regressed or made progress. Security has always been a significant factor of concern when browsing the web. For a long time, the Internet was considered a digital wild forest: everyone had to defend themselves, and there were very few options that guaranteed secure access. But with SSL, it’s no longer a concern. SSL ensures that your incoming and outgoing Web traffic is protected against all security threats. As a result, SSL users enjoy a wide range of benefits, which are described in detail in this article. Secure Sockets Layer, or SSL, is a security protocol that uses modern encryption to send and receive sensitive information over the Internet. Any information that passes through this chain is encrypted at one end and decrypted when received at the other end. So, even if someone gets this information, it is virtually useless for them because of the encryption of the data. Websites can enable SSL by acquiring an SSL certificate. Web browsers can detect this certificate, which allows them to know that this particular connection needs to be encrypted. Users can easily recognise if they are visiting an SSL-enabled site by locating a small lock preceding the site’s URL. The SSL certificate is today the security technology standard for encrypting communications between a web server and a browser. This electronic certificate guarantees that the data exchanged between a server and a browser remain private and cannot be attacked or hacked by hackers. There are several types of SSL certificates with different security levels. An SSL certificate secured website has a Hypertext Transfer Protocol Secure (HTTPS) URL and no longer just HTTP. HTTPS combines HTTP with an SSL encryption layer. A secure site is easily identifiable by the small padlock icon in the browser’s address bar. HTTPS is particularly useful on unencrypted networks (such as Wi-Fi), highly susceptible to hacking; any hacker can easily retrieve sensitive data. This article gives a clear idea of using SSL. After you finish, you’ll be better informed about how SSL could not only secure critical data but also give businesses a competitive advantage. As mentioned before, the use of SSL can be very beneficial for the end user and the site owner. Below are the reasons that show SSL could be very helpful for any modern website. Let’s start by answering a question. Can you name a popular website that does not have a lock icon next to its web address? If you do not have answers, that’s normal – there is an excellent reason for that. Businesses recognise the upward trend in user awareness of digital privacy. So, of course, they want their customers to know they are protected. SSL is a reliable way to approve the security of your platform, adding a touch of professionalism to any site by using it. This is especially true for e-commerce sites whose business model is based on the use of highly sensitive information, such as credit card details. This makes online transactions completely secure – giving you an excellent reputation for your business. The main reason for using SSL is that it provides strong security. SSL ensures that every data packet exchanged between the user’s browser and state-of-the-art encryption techniques protect an SSL-enabled website. This means that if someone enters this data, the relevant information is rendered unreadable by means of said encryption. Some companies spend a lot of resources on SEO (Search Engine Optimization) without realising that merely using SSL can give their website a ranking boost on Google. For more than two years, Google has integrated SSL as a ranking factor in its famous PageRank algorithm. So, a website with SSL will be ranked higher than the one that does not have it on Google. According to MOZ, half of Google’s results are in HTTPS, and this number will continue to increase. According to them, Google puts even more emphasis on other factors, such as the quality of content, when ranking sites. But SSL is also a great way to complement your SEO efforts. Now that we’ve explained why SSL was essential to show that your website is trustworthy, secure and professional, we hope you’ll buy an SSL certificate as soon as possible for your site. The addition of SSL can help improve user satisfaction, SEO and branding. Fortunately for you, Hostinger is configured to provide free SSL for all our business users. See you soon for a future tutorial!